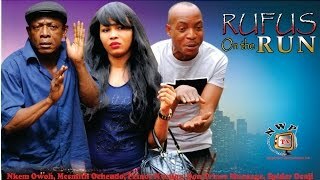 Rufus the Custom Officer Nigerian Movie is the continuation to Rufus and His Ogene Boys both of which is showing on Nigeria Movie Network, from the channel of NollywoodPicturesTV. The comic drama stars Nkem Owoh, Mcsmith Ochendo, Prince Nwafor, Don Trice Muonagor, Spider, Sharon Francis and Destiny Etiko. Watch, comment and share this video on social networks! 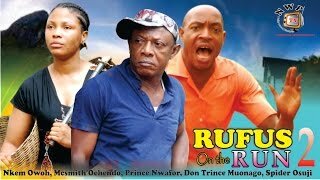 Movie Storyline: The plot centres on Rufus still posing a problem to his family and his community. As the story unravels, we would witness the remarkable tragedies that were suddenly recorded in his family as a result of his irresponsible and dubious actions. Rufus is indeed a man of unpredictable actions. To survive in his very own community, he hatches a very dangerous plan with his friends. A very dangerous plan which they must carry out against all odds. This amazing movie is the sequel to the movie Rufus and his Ogene boys. 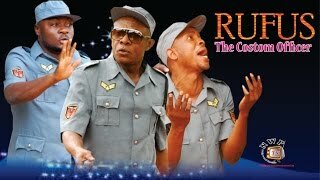 Note that, this is the 2nd part of three episodes in this order; Rufus and His Ogene Boys (1st episode or season), Rufus the Custom Officer (2nd episode or season), Rufus On The Run (3rd episode or season).